U.S. military recruiters and personnel at other military facilities will be allowed to carry concealed handguns, according to a new Defense Department directive. The Defense Department directive comes seven years after the 2009 terrorist attack at Fort Hood in Texas, where former Army Maj. Nidal Hasan killed 13 people and wounded more than 30 others. 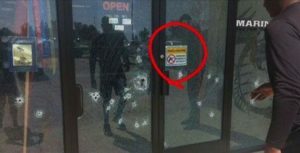 The 2015 attack at a Chattanooga recruiting station occurred in a gun-free zone. In July 2015, terror attacks on a recruiting station and Navy reserve center in Chattanooga, Tennessee claimed the lives of four Marines and a sailor. It also clarifies when military recruiters can be armed, said Army Maj. Jamie Davis, a Defense Department spokesman. Under the new policy, troops at recruiting stations and reserve centers can be armed if their commanders grant approval, Davis said. Recruiters and other service members who are not security personnel cannot bring firearms to an off-base location that is guarded by police or security guards, the directive says.